Many communist parties around the world also use it, including the Communist Party of Greece Communist Party of Chile, the Communist Party of Brazil, the Egyptian Communist Party, the Communist Party of Pakistan, the Communist Party of Spain, the Communist Party of Denmark, the Communist Party of Norway, the Romanian Communist Party, the Lebanese Communist Party, the Communist Party of the Philippines and the Shining Path. 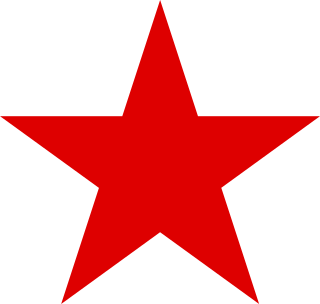 The Communist Party of Sweden, the Portuguese Communist Party and the Mexican Communist Party use the hammer and sickle imposed on the red star. 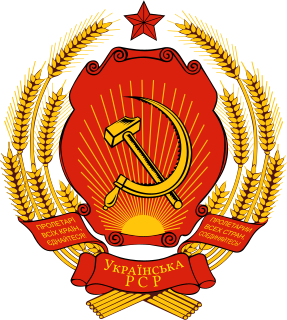 The hammer and sickle accompanied by the yellow star is used by the Communist Refoundation Party, the main communist party in Italy. 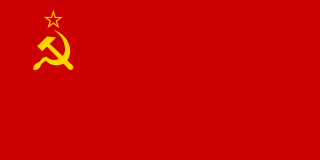 The State Flag of the Union of Soviet Socialist Republics ; commonly known as the Soviet flag was the official national flag of the Union of Soviet Socialist Republics (USSR) from 1923 to 1991. The flag's design and symbolism are derived from several sources, but emerged during the Russian Revolution. 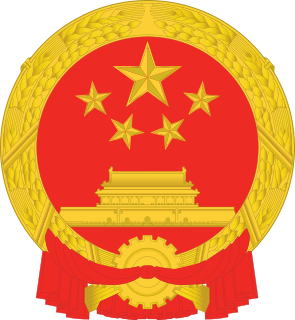 The flag is also an international symbol of the communist movement as a whole. 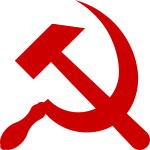 The nicknames for the flag were The Hammer and Sickle and The Red Banner. The state coat of arms of Ukraine, officially referred to as the Sign of the Princely State of Volodymyr the Great or commonly the Tryzub is the national coat of arms of Ukraine, featuring the same colors found on the Ukrainian flag; a blue shield with a gold trident. It appears on the Presidential standard of Ukraine. Blue coloured tridents are considered to be irregular representation by the Ukrainian Heraldry Society. 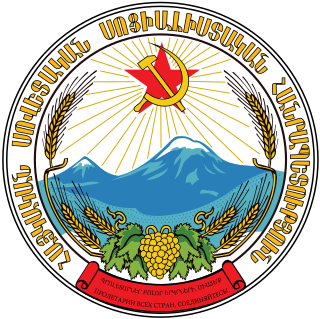 The emblem of the Armenian SSR was devised from an initial prototype sketch by Martiros Saryan, a famous Armenian painter, and was adopted in 1937 by the government of the Armenian SSR. The emblem of the Karelo-Finnish Soviet Socialist Republic was adopted on February 10, 1941 by the government of the Karelo-Finnish Soviet Socialist Republic and used until it was absorbed into the Russian Soviet Federative Socialist Republic in 1956. 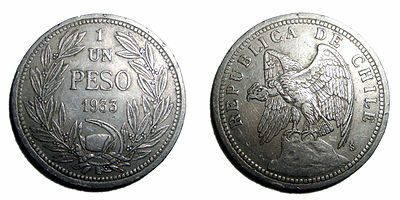 Bans on Communist symbols were introduced or suggested in a number of countries as part of their policies of decommunization.